Church-growth specialist C. Peter Wagner evaluates where the apostolic/prophetic movement has been—and where it's going. Most Christians know the Bible teaches that the church is "built on the foundation of the apostles and prophets, Jesus Christ Himself being the chief cornerstone" (Eph. 2:20). However, many have fallen into the erroneous supposition that after the early church was established, the office of apostle and the office of prophet were no longer needed. Before I explain how this developed, I should direct a word toward those who might doubt that apostles are ministering as such in today's church. Paul writes that when Jesus ascended into heaven, He "gave some to be apostles, some prophets, some evangelists, and some pastors and teachers" (Eph. 4:11) in order to build up the body of Christ (v. 12). The question is, how long were they to be around? The answer follows in verse 13: "Till we all come to the unity of the faith ... a perfect man, to the measure of the stature of the fullness of Christ." Obviously, we haven't reached that goal yet, so apostles, prophets and all the rest are still needed—and will be for a long time. Focusing on North America, I believe that God desired to bring back apostolic government to the church in the years following World War II. 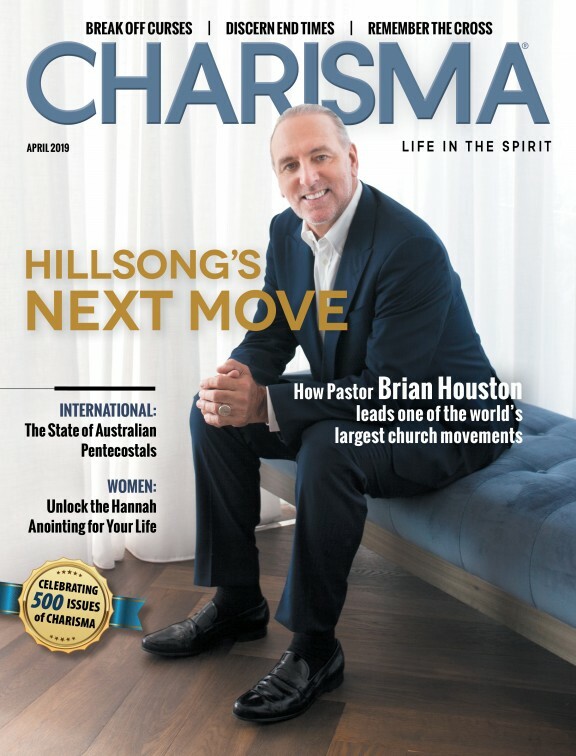 During the late 1940s and through the 1950s, some notable new movements emerged under leaders whose names became household words, especially within the charismatic stream. Though some accepted the title "apostle" and others did not, they all led their movements apostolically. These were our pioneers. Some of the initiatives were known as restoration, Latter Rain, shepherding, discipling or the like. They enjoyed considerable growth momentum, but it wasn't sustained. They made some mistakes, but all pioneers do. As a part of this shift, the gift and office of intercessor began to be recognized by the body of Christ. Following that, the gift and office of prophet began to be highlighted in the 1980s. We've always had prophets in the church, but for the most part they weren't recognized and accepted as such. Throughout the 1990s, the gift and office of apostle became activated more and more among cutting-edge church leaders. Let's call those apostles who began to emerge in the 1990s "Microsoft apostles." As we go on, we'll see many significant differences between them and the World War II apostles of a previous generation. One of them is that Microsoft apostles understand much better why they need to be aligned with prophets and intercessors. Barrett divides world Christianity into six "megablocks," equally proportioned between one Catholic megablock and five non-Catholic megablocks. Of the five non-Catholic megablocks, the NAR is the largest. Barrett's terminology for this megablock is "Independent/Postdenominational/Neo-Apostolic." It is the only one of all six megablocks growing faster than the world population and faster than Islam. Among other things, this means that we are not dealing with a splinter group or some inconsequential cult. The NAR, in fact, is the 21st century's mainstream Christianity. We may not notice it so much in North America, where the church in general has been experiencing decline in recent years. But it has become the most vibrant and explosive Christian movement throughout what Philip Jenkins calls the "Global South" (sub-Saharan Africa, Latin America and large parts of Asia, including India and China). Starting when Jesus said, "I will build My church" (Matt. 16:18), His church has been growing for nearly 2,000 years. During that time it has grown in many different ways. Each time God changes the direction of the church, He provides a new wineskin. Jesus used this terminology when He was interacting with the disciples of John the Baptist. At that time, the change was from the Old Covenant to the New Covenant. John the Baptist was the last prominent representative of the old wineskin, and Jesus was the first of the new wineskin. Jesus said, "No one puts new wine into old wineskins. For the old skins would burst from the pressure, spilling the wine and ruining the skins. New wine is stored in new wineskins so that both are preserved" (Matt. 9:17, NLT). God has new wine for the church, but only that segment of the church that adopts His new wineskin will receive it. From what we have been saying, it is obvious that one of God's prominent new wineskins for this season is the NAR. The corresponding old wineskin is traditional denominational Christianity. Most Microsoft apostles maintain high respect for the old wineskin, partly because—at least in North America—that is where they had their Christian beginnings. God exhibits His mercy by not pouring new wine into the old wineskins because He doesn't want them to break. After all, at one point in time, they were His new wineskins! He loves them, and so should we. Unless I'm mistaken, the most radical of all the changes from the old wineskin to the new wineskin is this: the amount of spiritual authority delegated by the Holy Spirit to individuals. The two operative words are authority and individuals. On the local church level, the new wineskin pastor is the leader of the church, not an employee of the church as he or she was in the old wineskin. If the church elders, for example, could hire a pastor, they could also fire a pastor. To keep the job, a pastor had to please the church. That partially explains why in America's two largest denominations, the Southern Baptists and the United Methodists, pastoral tenure averages only two to four years. In apostolic churches, pastoral tenure is much longer—frequently for life—because the pastor does not report to the elders; rather the elders are appointed by and report to the pastor. If pastors report to the apostle, to whom does the apostle report? Many World War II apostles didn't have a good answer to that question. However, Microsoft apostles typically have one or more other apostles with whom they have chosen to be aligned. For example, I lead a closed group of 25 apostles who are voluntarily aligned with me and who contribute toward my salary and benefits. I call it Eagles Vision Apostolic Team, and it is relational, not legal. I'm aware that I've stressed the function of apostles more than that of prophets here. One reason is that apostles are first. Paul writes, "And God has appointed these in the church: first apostles, second prophets, third teachers, after that ..." a list of various spiritual gifts (1 Cor. 12:28, NKJV). The use of numbers here is not to prescribe a hierarchy, but a divine order. If we take this literally, apostles cannot function properly without prophets. Every time I speak of the authority of apostles, I imply (even if I don't verbalize it) apostles properly related to prophets. I already said that one of the weaknesses of World War II apostles was the failure to align with prophets. We need to do our best not to allow Microsoft apostles to make the same mistake. Yes, both apostles and prophets are resurfacing. With the biblical government in place again, the church is poised for the greatest advance of God's kingdom ever. C. Peter Wagner is the author of more than 70 books and taught at Fuller Theological Seminary for 30 years. He holds graduate degrees in theology, missiology and religion from Fuller, Princeton Theological Seminary and the University of Southern California.